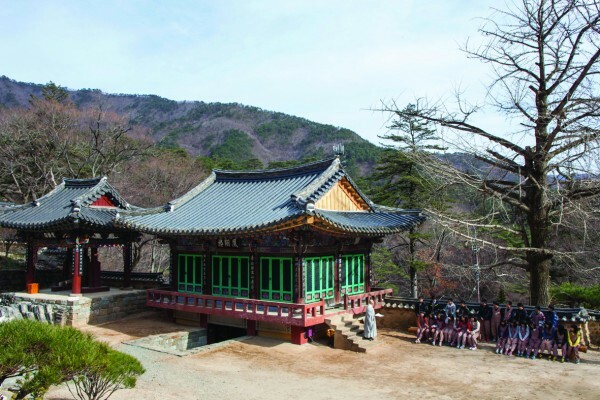 Located in the east of Cheonwangbong peak of Jirisan Mountain in Samjangmyeon, Sancheong-gun, Gyeongsangnamdo Province, Daewonsa is one of the most famous bhikkuni temples in the country. It is also Traditional Temple No. 81 in Gyeongsangnamdo Province. 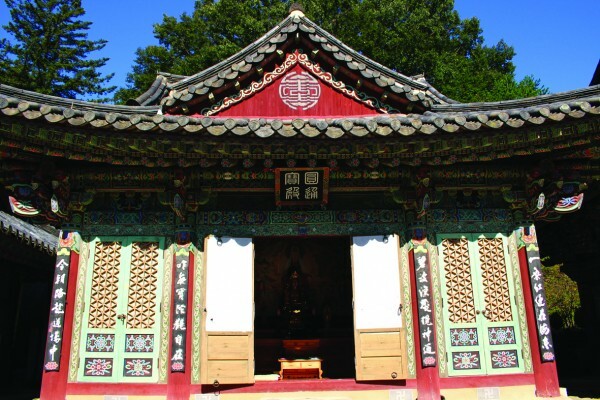 The temple was originally founded by Spiritual Patriarch Venerable Yeongi in 548 (in the 9th year of King Jinheung [526–576]) under the name of Pyeongwonsa Temple. Although the temple went through a series of destructions and restorations throughout its history, it managed to keep its reputation as a bhikkuni Seon center among Buddhists, after it was restored by Venerable Beomil in 1955. 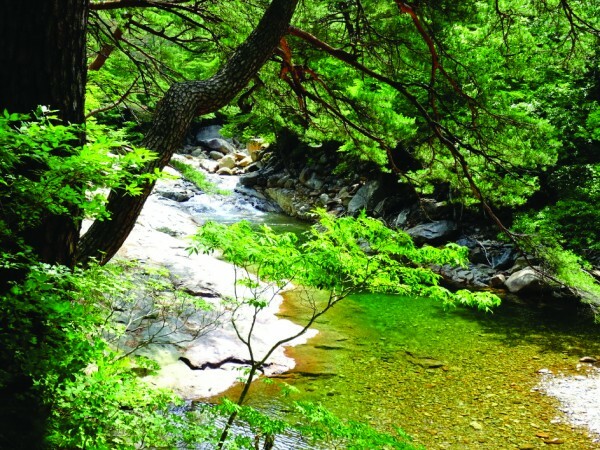 Specifically, the trail through Yupyeong Valley from the parking lot entrance to Daewon, a 2km road, is known as the best place in South Korea to simply dwell for a while. While splashing your feet in the coldstream in the midst of a dense forest, you may feel your worries wash away. The surrounding passage along the way to Daewonsa is filled with Geumgang pine trees. These trees offer a gift of health to visitors. 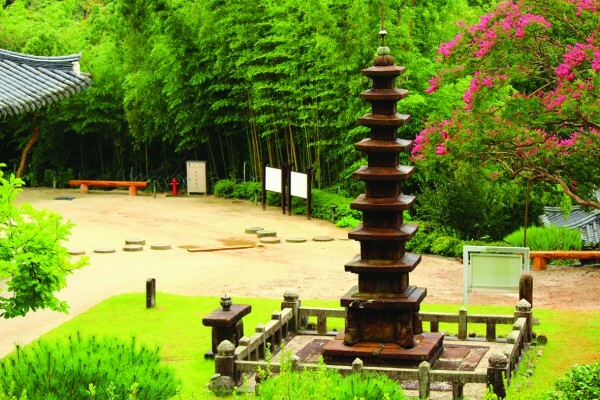 This pagoda is located in front of the Seon meditation room used by the bhikkunis of the Sarijeon building. This structure was constructed by National Preceptor Jajang in 646, in the 15th year of Queen Seondeok of the Unified Silla period. Because the stones are rich in iron, reddish water comes out of it, which creates a strong impression on viewers. It is said that Venerable Seongcheol was able to attain Dongjeongilyeo here, which means he was able to meditate continuously, with no difference between movement or stillness. Please do not disturb the nuns here during their mediation hour. This small but beautiful structure is located between Cheongwangjeon and Daewoongjeon. Believers recite an endless prayer, certain that Gwansaeeumbosal, or Avalokiteshvara Bodhisattva, will fulfill his vow to save all beings, hearing their lamentations of suffering and cries for help, and helping to ease their troubles. After paying homage in the hall, why not take a look at Baeuigwaneumsangdo, or Buddhist painting, on the far left wall inside. Also, be sure to look up at the striking stone lantern in the front of the building as you pass by. This building is an entrance to Daewonsa Temple. The hanging sign says “Bangjangsan Daewonsa.” On the second floor, there are hundreds of books, so you can drink tea and read as many of them as you wish. 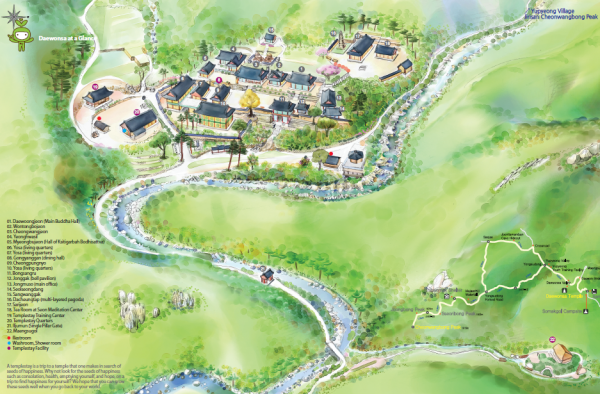 The trail of Yupyeong Valley was designated as “the most attractive trail to walk” by the Ministry of Culture, Sports, and Tourism. The forest trail stretches past Daewonsa to Yupyeong Village as it goes through the valley. The passage is filled with various wild flowers and trees, and snow carpets the whole area in winter. The cool stream fills the valley, adding more beauty in all seasons.